Langley – A chance to get some fresh air and exercise, chat with elected officials, and explore new fitness equipment at a local park will kick off Seniors’ Week in the Township of Langley. Seniors’ Week runs June 1 to 7, and the Township, along with many local organizations, is getting ready to celebrate with several special events, activities, and programs. The Week gets underway on Thursday, June 1 with a Walk & Talk with the Mayor. From 10:00 to 11:00am, Mayor Jack Froese and members of Township Council will be at the Derek Doubleday Arboretum, in the 21200 block of Fraser Highway, for the official launch of new, outdoor, age-friendly exercise equipment. Seniors are invited to join them for a walking tour and orientation of the new equipment, then guests can chat and stroll through the Arboretum with Mayor Froese and Council members. During the Week, a number of programs will be offered at various community recreation centres and facilities throughout the Township to help seniors stay fit, healthy, and active. Everything from swimming pool and exercise classes to games, sports, crafts, and bus trips will be presented. Seniors with a green thumb who would like to garden, laugh, and socialize while sharing tips, cuttings, seeds, and ideas for successful gardening are invited to join the Let’s Dig It Seniors’ Gardening Club. Presented in partnership with the Langley Environmental Partners Society, the Club runs from mid-May through the end of August. A Let’s Dig It session is being offered in conjunction with Seniors’ Week on Monday, June 5, from 10:30am to 12:00pm, at the Langley Demonstration Garden in the Derek Doubleday Arboretum. Gardeners with all levels of experience are welcome. To register for the Seniors’ Gardening Club, call the W.C. Blair Recreation Center at 604.533.6170. An annual Seniors’ Week tradition returns on Tuesday, June 6, when the Seniors’ Tea is held at the Aldergrove Kinsmen Community Centre, 26770 – 29 Avenue, from 1:00 to 3:00pm, and will feature refreshments and entertainment. All Seniors’ Week activities, events, programs, and classes offered by the Township of Langley will be provided free of charge, through the Active Legacy Pass. The Passes, a legacy of the Langley 2014 BC Seniors Games, are currently available to residents aged 50 plus, and can be picked up at any Township community, cultural, or recreation centre. Registration is required for all Seniors’ Week programs and events, which are listed in an accompanying Active Legacy Pass Brochure, along with registration information. For more information, visit tol.ca/events. Volunteers are being sought to assist with Seniors’ Week activities, including the Gardening Club and Seniors Tea. To help out, contact Jennifer Achterholt at jachterholt@tol.ca. 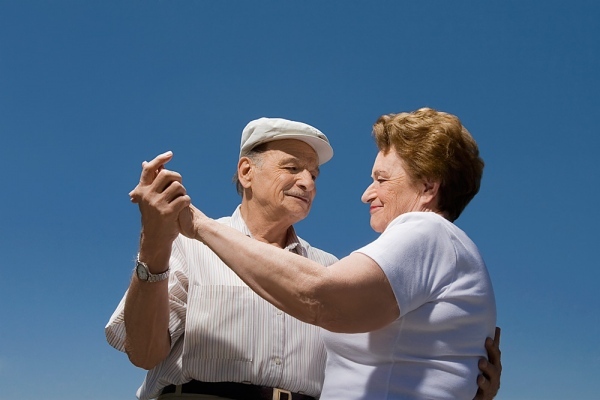 In the Township of Langley, senior citizens can live life to the fullest, be active and healthy, feel safe and supported, and stay connected with their community. In June of 2015, the Township was formally recognized by the Province of British Columbia as an Age-friendly Community, a place where people can enjoy all stages of life and live with dignity, respect, and independence. An Age-friendly Strategy has been created by the Township to provide a framework for healthy, livable communities that are welcoming to all ages. It is currently being implemented to ensure proper housing and transportation options, services, and programs are in place to help seniors experience a great quality of life, now and in the future, as people live longer and do more in their later years. For more information, visit tol.ca/seniors. Be the first to comment on "Seniors’ Week In The Township Of Langley – June 1-7"